Choose your class, skills, weapons, and dive into intense real-time online co-op dungeon action with your friends! 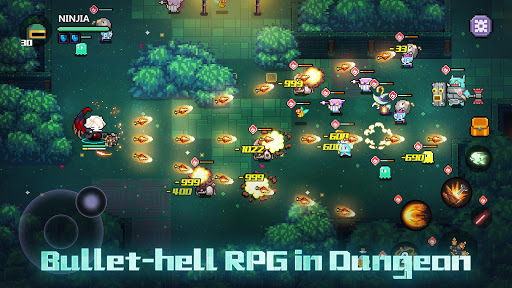 ● Are you good enough to lead your hero through random generated pixel art dungeons swarming with bullets, monsters, bullets, BOSSES, bullets, and more bullets? Say no to fixed builds! ● My Heroes currently offers five unique classes – Fighter, Ranger, Priest, Mage, Ninja. ● Each of them has over 20 skills that you can freely mix and match to create your very own play style. ● Every combo is a good combo, there’s no set meta! ● From simple RPG-staples like swords, guns, fancy world-ending superweapons, to… pixel art giant fishes, bananas, and donuts!? ● Yes! Just defeat the BOSSES, and all 100+ unique weapons and 1000+ pieces of gear will be up for grabs! Classic pixel art co-op fun! ● Where’s the fun if you can’t share all that with your friends? Invite your friends to My Heroes now! ● You can even go on adventures immediately with our free-level party system! ● Friends all offline? Shout-out on the chat, join a guild, or how about the auto-matching system? I used to be an adventurer like you, until I became the pixel art fashion guru! ● My Heroes features an intricate multi-slot paper doll system with hundreds of top-notch pixel art cosmetic items. ● Will you be the one to lead the fashion of the Abyss? Be a hero. Leave a mark. Make a difference. 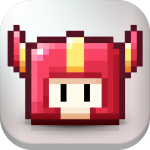 ● The Adventurers’ Diary features the heroic deeds, wisdom, and (of course!) epic fail moments of past players. ● Complete achievements, earn stars, and unveil the secrets. Who knows, one day you may be the one to leave your words on it! 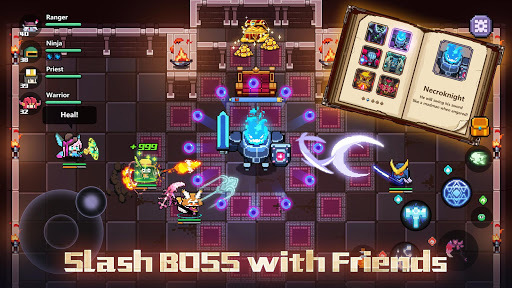 ● Random loots, random dungeons, random BOSSES, the possibilities are endless! Don’t forget to join our fan page on Facebook for the latest news!